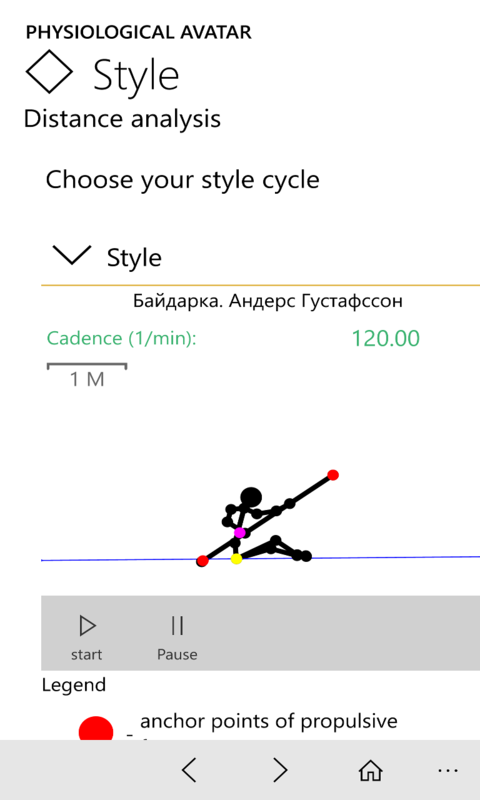 With respect to the rowing and canoeing implemented study dynamic, energetic and physiological criteria of efficiency of motor cycle cyclic sports athlete in conditions of a specific distance. The study evaluates the energy efficiency of rowing technique, produces figures on energy efficiency and makes comparison of different rowing techniques on energy efficiency indicators. Implemented rowing technique analysis on the physiological criteria by remote monitoring lactate level profile, determining the anaerobic threshold in relation to a particular distance. Runs simulations of various techniques of rowing when passing distance. In the distance study of motor cycle athlete modeled its biomechanical properties in relation to the physiological properties. The study requires the prior establishment of a Physiological avatar. 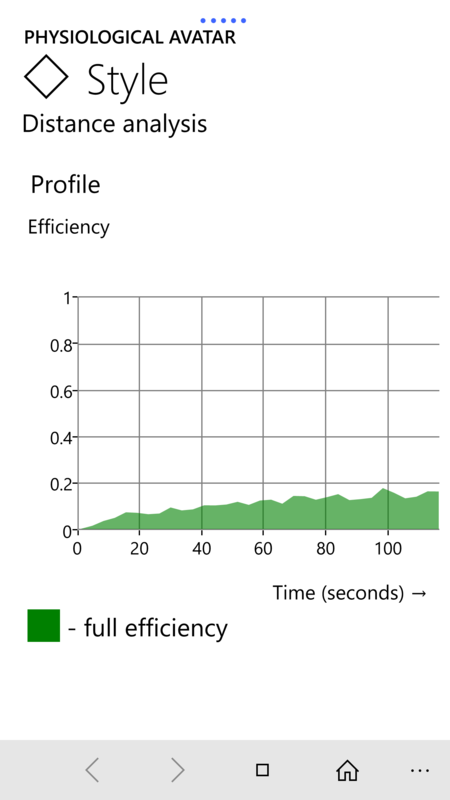 Enter or download from file open format distance profile stroke rate. Stroke rate and its distribution by distance is manageable (determined by the trainer) in this study. 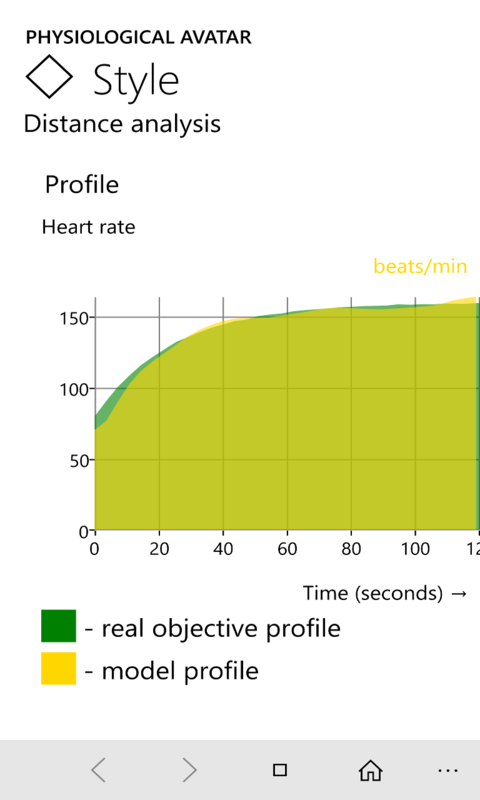 Enter or download from file open format distance profile of heart rate (HR). 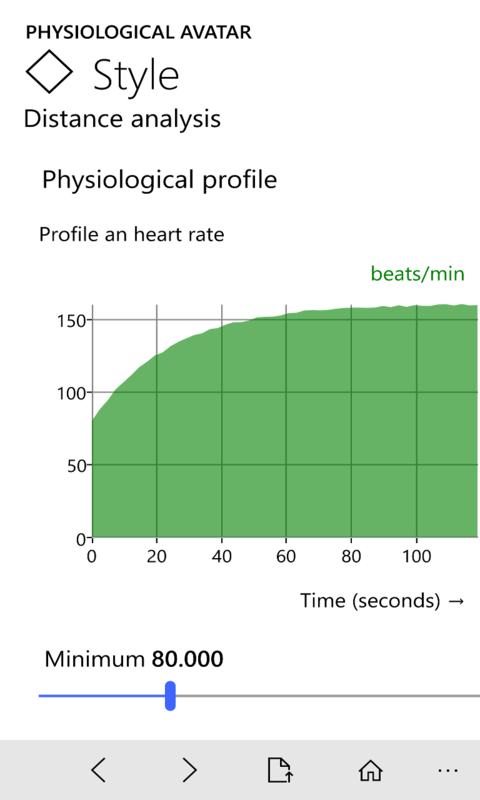 Profile of heart rate recorded during check-in. Profile of the stroke rate during the test is determined and aged coach check-athlete. 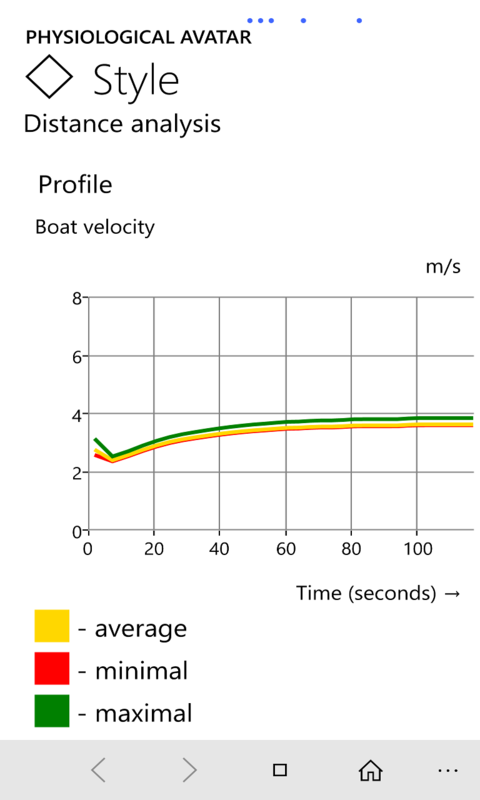 Calculate the distance of the boat speed profile relative to the water. 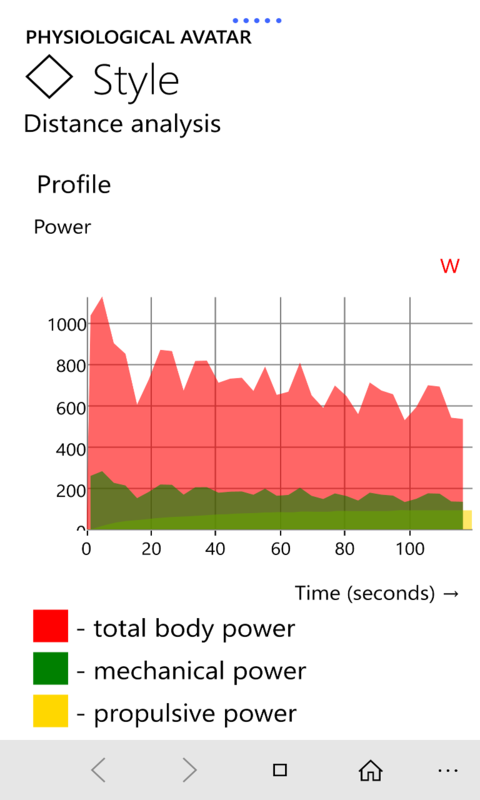 Calculation of the propulsion power spacers, mechanical power and the full power of the body allows you to track the distribution of energy the body of an athlete in a distance. 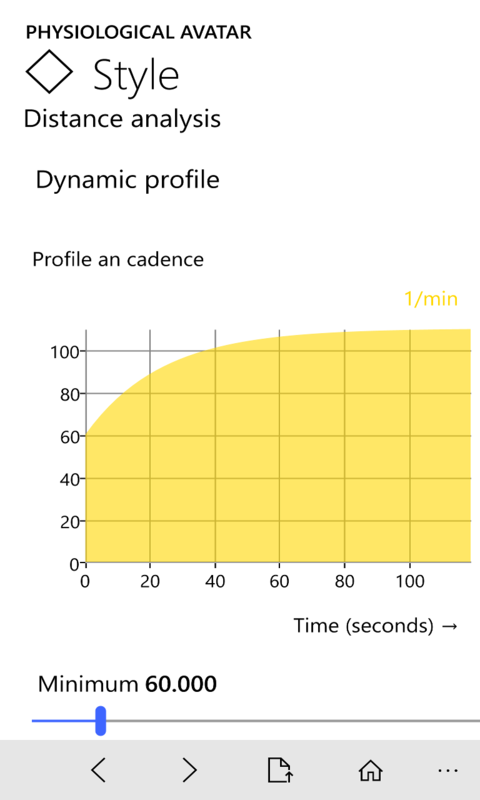 Distance calculation profile full EFFICIENCY of the body.Ceteris paribus (stroke rate and heart rate), efficiency is the criterion for comparing the effectiveness of two or more different styles of rowing. 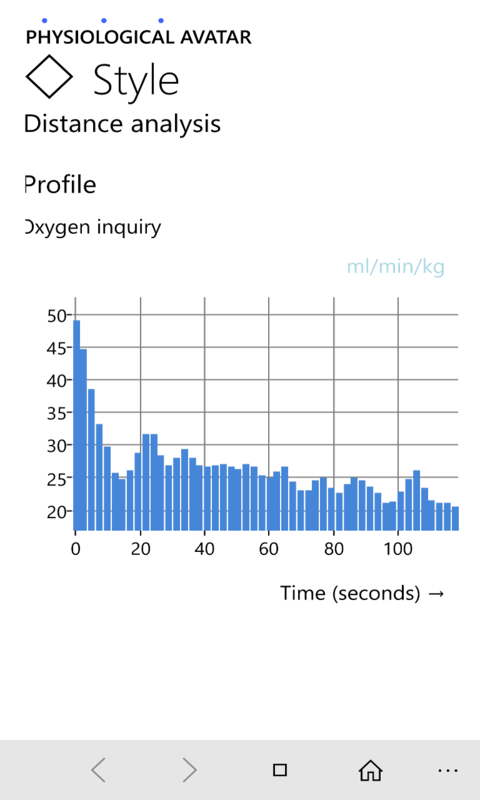 Calculation of distance full profile oxygen request body allows you to track the amount aerobic organism load and its distribution. 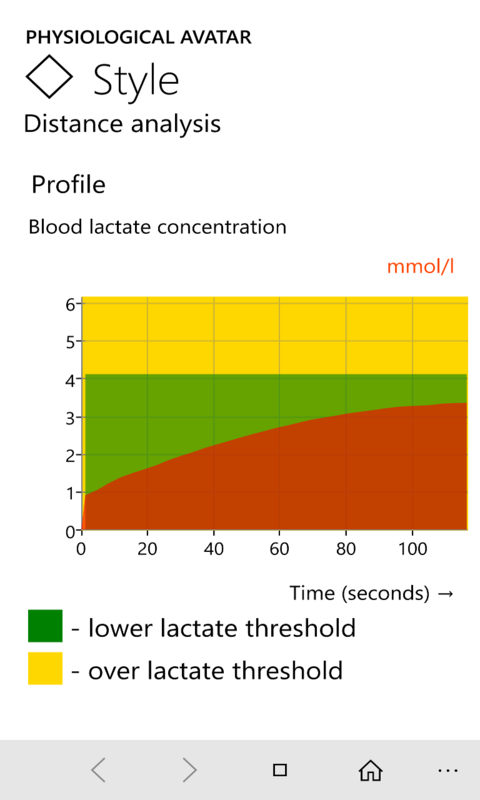 Calculation of distance in blood lactate concentration profile and highlights the achievements of anaerobic threshold. Accurate assessment of the magnitude of the training impulse (TRIMP) athlete in training and competitive races.